Started in 1998 by editor Marisa Brickman while she was at college at the University of North Carolina, 'SUP has since followed her to New York, London and next year will head off to LA. One of the best looking, most interesting music magazines in print anywhere, 'SUP feels like it's come of age in the last year. This year ‘SUP turned into a paid magazine. That must be pretty big? But for me it really came down to wanting the magazine to have a longer shelf life. We publish so infrequently, sending something like 100 magazines to each stockist, and stores would call us after a week and say they’ve already blazed through 100 magazines. By putting it on sale we can give it a longer shelf life, plus I think it’s at a point now where people are actually willing to pay for it. I think that also has a lot to do with all the other great independent magazines that are out there. Do you think this appetite for independent magazines corresponds to anything you’re seeing in the music industry? It’s really hard for music magazines right now, mostly because they’ve always been funded by record label advertising and most record labels don’t want to buy print advertising anymore. So that means a lot of print magazines are turning to an advertorial model, where rather than selling ad space to a record label they’ll sell the front cover to a record label. Over the past two years we’ve made a conscious effort to move as far as we can from music magazines – most people that pick up ‘SUP don’t know what it is. That was initially a problem for distributors – they said we needed a line on the front or something that says this is a music magazine or nobody’s going to know to pick it up. We were like, “Well, okay, we’ll see how it goes, we’ll test it out and we’ll see what happens.” But we’re getting stocked next to i-D and 032c and Fantastic Man, so we’re not even in the music section on the stand. Advertising is hard because then you have to almost turn into a lifestyle magazine to get fashion advertising and we don’t really want to do anything except for music because that’s what keeps us unique. So what have you got coming up that you’re looking forward to? Well we just did a t-shirt collaboration with Wood Wood, a Danish design company and one of my favourite brands in the world. They’ve been big supporters of us since I moved over to Europe and we’ve always wanted to do something with them, so we took five iconic images from past issues and did a range of t-shirts that you can buy at Wood Wood. Next summer we’ll have ‘SUP issue 25 and we’ve got some special things planned for that. I’m moving to the West Coast so obviously we’ll start to have a bigger presence over there, which is good because I’ve been over here for six years and have put a little network together in London, but I think now the US needs a bit of attention so it’s good that I’ll be over there and can hopefully keep things moving. Blondes "Lover" LIVE at 'SUP MAGAZINE 23 RELEASE PARTY w/ Diesel London 2/24/11 from 'SUP Magazine on Vimeo. That all sounds really exciting. There was a period when we were stressing out about stuff and trying to stick to deadlines and everybody got really worked up about it. But then we said, “What we’re really doing here is focusing on putting out a quality publication. That’s the goal. Whatever we need to do to make this the best magazine we can, that’s what we’ll do.” We realised that we weren’t selling advertising anyway, so it didn’t really matter if we stuck to a production schedule! All of a sudden we could do it whenever we want. It made things a lot more accessible. 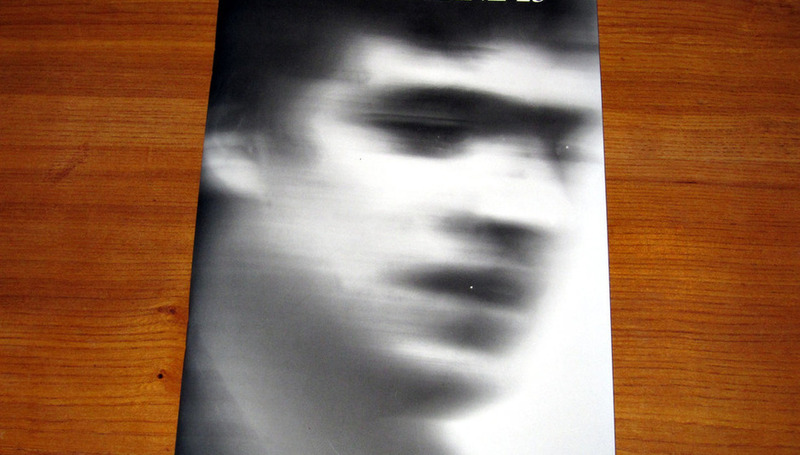 Simon Reynolds wrote a piece in Wire magazine around the time his book Retromania came out. He was talking about the way we consume music now, and how because of the digital age there’s no sense of anticipation because you can just get something whenever you want it. I’m not anti-blog, but there’s nothing like a piece of quality printed journalism in a magazine that you can hold. Magazines are one of the things people still collect; you wait for it and you’re excited when it comes out. I think I’m happier to be in the camp of creating something tangible and real that people anticipate and look forward to, rather than the other camp, which is just putting out stuff every day. For more about 'SUP, visit supmag.com. DiS has a competition to win a one year subscription to Stack. All you need to do is tell us what your favourite thing you read in 2011 was. It could have been on DiS, in a print magazine or anywhere you like, with links or without. You can share as many or as few features as you like, either in the comments section below the articles this week or simply Tweet your choice to us @drownedinsound. Winner will be picked at random at midday on January 9th, and you'll be notified via whatever medium you used to enter if you've won.